ADDIS ABABA, Ethiopia (CNN) -- Ethiopia indicated Thursday it will agree to a peace plan with Eritrea brokered by the United States and Rwanda. 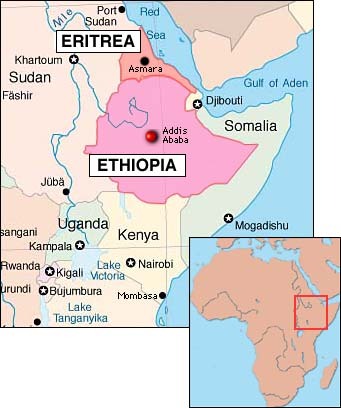 The plan is aimed at resolving a violent border dispute between Ethiopia and Eritrea, two of the United States' closest African allies. U.S. Assistant Secretary of State for African Affairs Susan Rice said that Ethiopian Prime Minister Meles Zenawi was likely to accept the plan after consultation with his Cabinet. The European Union and the Organization of African Unity have both voiced support for the proposal, but Rice did not mention any Eritrean response. 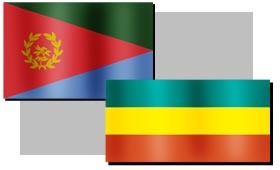 The two nations have been on the brink of war since last month, when Eritrean forces clashed with Ethiopian troops. Under the potential agreement, Eritrean forces would withdraw from the border town of Badme to positions held before hostilities broke out. International experts would then work out the demarcation of the border. Eritrea has admitted its forces engaged Ethiopian troops, but insists it was merely retaking territory seized by its neighbor six months earlier. Ethiopia rejects that claim. Ethiopian and Eritrean troops, which are two of the best-equipped forces in Africa, battled for most of the day Wednesday with heavy artillery, mortars and small arms. Rice said the peace plan also calls for a small observer force to be deployed in Badme, and for the return of the previous civilian administration. She said an investigation should also be held into the conflict. Eritrea seceded from Ethiopia in 1991 and formally gained independence in 1993.